I enjoy teaching yoga to help people feel good and maintain health. My first profession as a dental hygienist, showed me how teaching simple oral hygiene methods can keep people’s mouths healthy. And from years of maintaining people’s mouths I also became aware of how many prescription medications people take for different chronic conditions and observed many side effects from those drugs. I never wanted to become dependent on medications to maintain wellness, so I became devoted to exercise of all types, running, bicycling, swimming and finally yoga. After one class of yoga, I was a believer. Our entire family began practicing and discussing yoga. I practiced for 4 years and decided I wanted to teach others the wonderful practice of Bikram Yoga. In 2008, I attended the 9 week, 500 hour Bikram Yoga Teacher Training. I liked teaching and noticed the positive difference Bikram Yoga made in so many student’s lives. In 2013, my husband Gordy and I decided to open Bikram Yoga Rolling Meadows. We are blessed to be owners of a business that generates positive energy and wellness. We are grateful for our amazing teachers and caring yoga community. Our yoga journey will continue under our new name, Meadows Hot Yoga, because we have discovered all yoga is good; and a variety of yoga is needed to help more people! 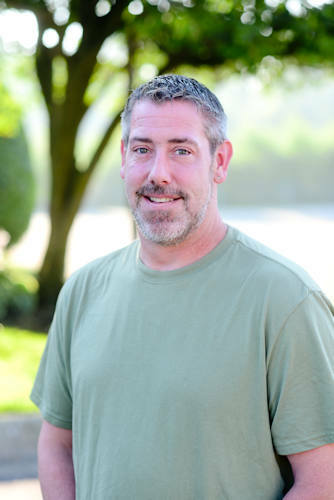 Active in some form of yoga since 1999, Gordy took his first hot class in 2005. To be honest he wasn’t thrilled but he soon discovered the therapeutic benefits of the 26 & 2. With relief from chronic back pain and some coaxing from his wife and grown children, regular attendance at the 105F studio in Chicago became a habit. It quickly became a family obsession. His wife Carla attended teacher training in 2008 and the two of them opened Meadows Hot Yoga in 2013. Finding himself in the unique position of owning a studio and being married to the boss, it wasn’t enough to be the guy behind the scenes. The opportunity for teacher training at 105F opened the door for him to take the next step. 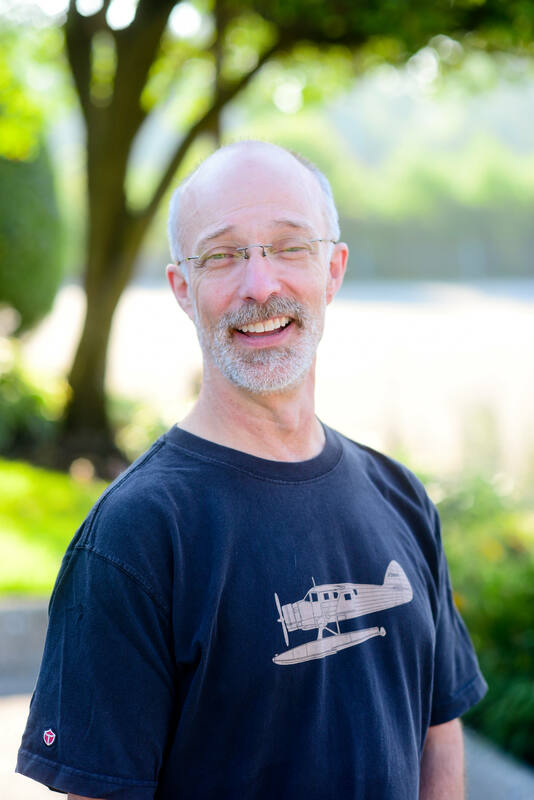 Gordy is thrilled to be sharing what he has learned from those years of practice. Using humor and subtle encouragement, his goal is for each student to get the most out of every class. My yoga story began when I was 10, doing the Rachel Welch Yoga tapes with my mom. Fast forward 10 years and I found myself a student at Aurora University teaching yoga to senior citizens at their retirement center as a volunteer. It was chair yoga. They seemed to enjoy the interaction and definitely felt better moving and stretching their tight bodies. After graduating college, I began a career in television broadcasting here in Chicago, but life soon became too stressful and once again I sought out yoga. A boyfriend’s mom asked me to go to yoga with her, so once again I was excited to experience a new yoga class. She didn’t tell me it was Bikram Hot Yoga and I walked into the room and said, “Whew”, rather loudly, and everyone in the room looked at me like, what did you expect? As I did the postures, I seemed to know which posture was coming next, I thought, “Oh, my body just moves in those directions naturally”; come to realize later, the yoga I did with my mom was Bikram Yoga. In the Fall of 2010 I graduated from Bikram Teacher Training and began teaching and since then, I haven’t stopped practicing and teaching daily, except for when my son, Carson, was born in 2015. And that’s another story you should ask me about someday. I practiced the Original Hot Yoga through my pregnancy, so I am very knowledgeable about the pregnancy series, and I can guide pregnant students through the Original Hot Yoga series with the proper modifications. I have taught the Original Hot Yoga series plus some additional yoga games and postures to children. The class in not heated and 60 minutes long. I teach children of all ages and children with special needs. In July 2017, l began teaching Rocket Vinyasa. I was taught the series by Gianna Purcell, the 2013 USA Yoga Champion, in a workshop in Chicago. I teach that class 2 times a week here at Meadows Hot Yoga. I have competed in the USA Yoga Organization Regionals and have coached many athletes/participants (both adult and youth divisions) for this competition. I love helping people improve their health, reduce their pain and improve their overall quality of life. It is a very fulfilling career. I love being a yoga teacher! Linda started practicing Bikram Yoga in 2010 and completed training in Los Angeles in Spring 2012. The more she taught, the more she became fascinated with the human body, energetic systems and the meditative arts. In order to gain more insight, Linda has been dedicated to seeking out and studying with senior teachers across a wide variety of yogic disciplines. This search eventually led her to Tias Little of Prajna Yoga in Santa Fe. Linda began studying with Tias in 2015 and completed his first level of training in July 2018. 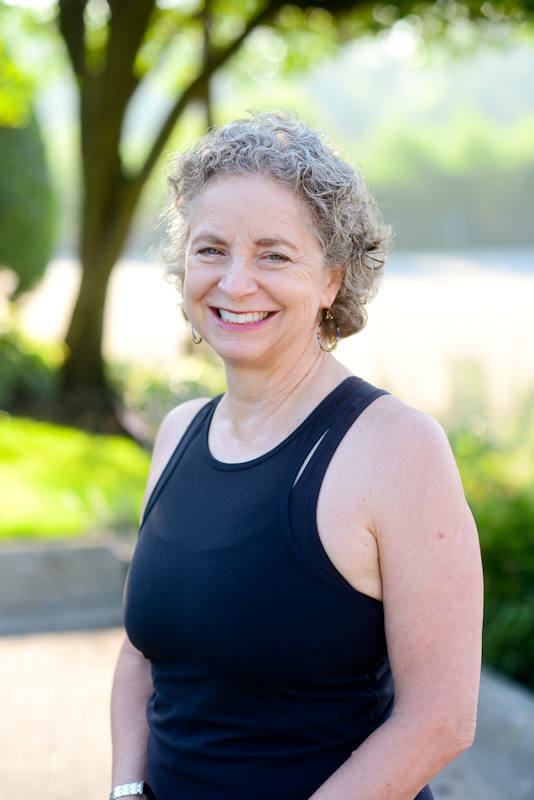 Along the way, Linda has been fortunate to study with senior Bikram teachers Lynn Whitlow, Esak Garcia, Emme Cleaves, Rajashree Choudry and Mary Jarvis. Linda has also studied extensively with Senior Iyengar teacher Gabriel Halpern and the indescribable Rich Logan. 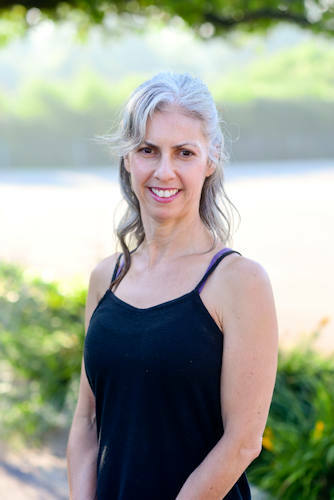 She has completed Hip and Shoulder work shops with senior Iyengar teacher Janet Macleod, Eastern medicine and Yoga studies with senior Prajna teacher Ali Modell and Yoshi Nokano, and Sanskrit with Nicolai Bachman. One of Linda’s favorite things about teaching yoga is sharing this knowledge with her students. Shari took her first yoga class in Orlando Florida in 2004, and it was one of the most challenging classes she had ever taken. 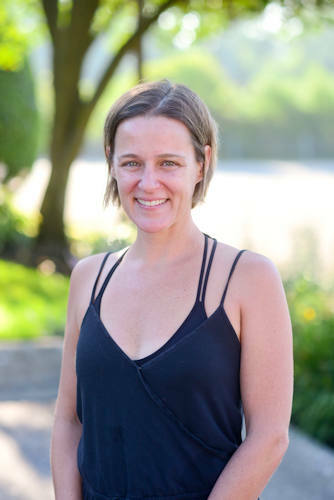 After practicing every chance she had, Shari decided to do her 500 Hour Bikram Teacher Training in Spring of 2007. 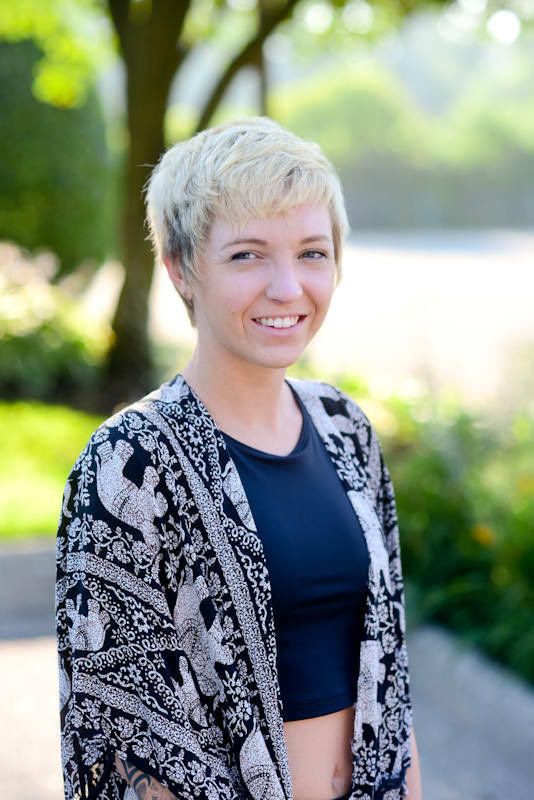 She taught most of the time in Orlando until moving back to Chicago in 2016 and joining the Rolling Meadows team. In 2017 Shari did her Inferno Hot Pilates Training and has been teaching since. Thank you for taking the time to check out Meadows Hot Yoga. I’m Christopher and usually go by Chris. My practice started a little over 5 years ago when a friend brought me to my first hot yoga class. I was not impressed. The first year was a “take it or leave it” kind of attitude to which I probably only took about 10 classes. As life continue to unfold I found I was out of balance. Mentally, spiritual, and physically. Always diving into something full force and leaving so many other things unattended. And with that I started attending more classes. The more classes I took, the more relationships I started to build. The more classes I took, the more I began to “see and feel” my priorities in life. The more classes I took, the more my diet and lifestyle become increasingly healthy. At the end of Oct. 2016 I received my RYT 200 in order to share my experience and to encourage others to find their own yoga journey. Soon I will be adding another 40hrs to certify in Nidra Yoga. Trying to overcome expectations and judgments is a very constant challenge for most, with which I am all too familiar, however, my practice is the number one tool which I find peace and balance. I hope to meet you soon and share a part of your yoga journey. I believe I was voted least likely to teach yoga in my high school class. Ok, maybe not that bad, but this is still all pretty shocking. While I have an athletic background ranging from bowling to rugby, Pilates and yoga were never on my radar because I didn’t find them competitive enough. I am thrilled that I have grown past that mentality and broke away from so much ego. Life will always teach you the lessons you need to learn. In 2011 I was diagnosed with cancer and I am blessed that I survived and had the opportunity to take my health seriously. I have lost over 85 lbs and became passionate about yoga and Pilates. After practicing for a year, I took the Inferno Hot Pilates Certification in June 2017 and never looked back! In December of 2017 I was certified in yin yoga and love the weekly practice of teaching, living and observing the yin and the yang that is this crazy life! My class style is body positive and energetic and I have yet to enter the hot room NOT nervous! It is just such an honor to lead a class that I can still hardly believe that I’m doing it. In my very few free hours I love to travel and be with my husband Joe, our two sons and our 13 year old puggle Spazz. I am truly honored and humbled to teach here at Meadows Hot Yoga. Melissa found yoga as an outlet to cope with years of personal anxiety. Yoga has allowed her to become one with herself and find peace within. She completed her 200 hr RYT program, as well as, Restorative and Traditional Hot (26 hot series) at Next Yoga in Wheaton, IL. Melissa aims to create a space for her students where they can find confidence on and off their mats and release their inner beauty to the world. 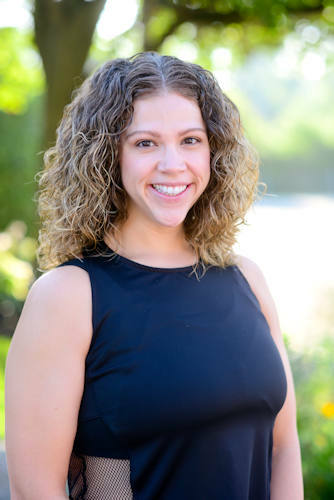 Outside the studio, Melissa works for a global cocoa & chocolate manufacturer, enjoys the outdoors, cooking and spending time with her family.